Cyclopentasiloxane, Disiloxne, Dimethicone, Prunus Amygdalus Dulcis (Sweet Almond) Oil, Tocopheryl Acetate. on the size of your nail, at the end of the nail polish application. At first, I thought this must contain alcohol hence the quick dry properties, but hey, the ingredients list doesn’t have alcohol at all. It in fact has sweet almond oil, which would linger around your cuticles and leave your fingertips a bit oily. Bonus plus for being nourishing to the cuticles! I think this product definitely speeds up the drying time on your manicure. You can basically touch/light swipe across your mani to test out whether they are dry or not - almost right away! However, I would wait a bit more before getting up and continuing on with your normal life, as the polish is not completely dry at all layers (the surface might feels dry, but you can still chip or damage your beautiful mani because the under layers still haven’t set). I would tilt my nails vertical and apply the drop from the top, so the product would flow down and cover the rest of the nails - so I don’t have to waste any product! 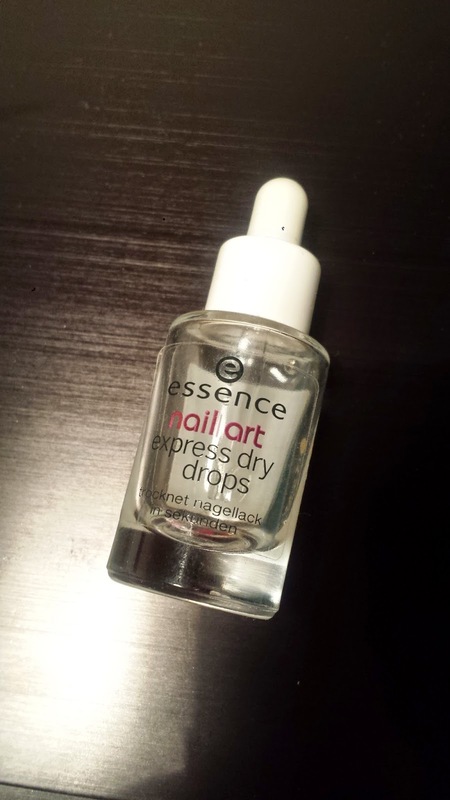 This Express Dry Drop does work but it is not magical. Depending on what stage I am at my manicure, I might choose to use this over a quick dry top coat. I will have another post up soon comparing when I use these dry drops and when I would choose to use the quick dry top coat!